This past week the Supreme Court of Canada released its decision in the landmark extradition case of India v Badesha. The case – which the Asper Centre intervened in earlier this year – involved the possible extradition of an infamous couple to India to face charges of conspiracy to commit murder. The case raised the intriguing question of when, and if, diplomatic assurances from a foreign state can make extradition to a foreign state Charter-compliant. India, for its part, has a notorious human rights record with respect to treatment of prisoners in its custody. Systemic abuse, sexual assault, a lack of potable water, and cramped living conditions are all endemic throughout the system – and abuse from prison guards is a common occurrence. The question before the Court was this: can mere assurances of safety from the Indian government make up for all this? The Supreme Court’s answer seems to be “no.” But much remains uncertain. On the plus side, the Court made it clear that diplomatic assurances cannot, by themselves, make up for evidence of human rights abuses in a foreign country. And the Court made it equally clear that general evidence of widespread human rights abuses can be used as evidence that specific persons will be subject to torture and mistreatment upon extradition to a foreign state. It also laid out the considerations that must be taken into account when assessing the reliability of assurances against torture. Factors such as the specificity of the assurances, the foreign state’s capacity to comply with the assurances, and the ability to monitor and verify the foreign state’s compliance with assurances must all be considered. But the good news stops there. Much of the decision’s positive elements are muddled by the Court’s insistence on including a number of policy considerations that, we are told, must also colour the analysis. 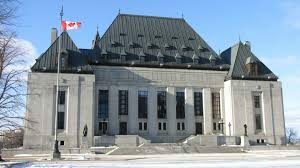 Courts must in each case consider the relationship between Canada and the recipient state, as well as the seriousness of the offence, when determining whether a surrender order meets constitutional muster. There is, however, an obvious problem with this. The question of whether policy considerations should tip the scale in favor of extraditing leaves too much discretion in the hands of politicians – instead of the Courts. One only has to look at the fallout from the payment to Omar Khadr to realize that importing political considerations into questions of rights-protection is often a marriage made in hell. When assessing the role of diplomatic assurances in determining whether extradition is appropriate, then, the question should be a simple one…can the state actually fulfill its promises? The Asper Centre’s submissions urged the Supreme Court to place this question at the heart of the analysis on judicial review of extradition cases. We urged the Court to require the state to produce evidence that it could fulfill its promises and safeguard the rights of Canadian citizens’ subject to extradition. The court, for its part, only partially heeded our warning – opting instead to list a catalogue of things that are to be considered when assessing a surrender order – some rights-friendly, some not. The Asper Centre’s outside counsel, John Norris, was also troubled by the court’s deference to the Canadian government on extradition cases, yet he too chose to see the silver lining as the court did in the end uphold the need to carefully consider human rights in extradition cases. “You can see it as the glass is half-full or half-empty. I prefer to see it as half-full because the emphasis on human rights is an important part of the judgment,” Norris commented. As the proverbial wisdom has always said: sometimes you win, and sometimes you lose. And sometimes you lose, but the result isn’t quite as bad as you thought it might be. Patrick Enright is a third-year JD candidate at the University of Toronto’s Faculty of Law and was a student in the Asper Centre half time clinic, who assisted with the Asper Centre’s intervention in this case. This entry was posted in Commentary, Supreme Court of Canada and tagged Badesha, Extradition, Supreme Court of Canada. Bookmark the permalink.